1 Burlington Arcade 2' 48"
2 If Only 4' 20"
3 The Last Teardrop 3' 25"
4 Still Dreaming 4' 11"
5 Memories Of The Victorian Age 3' 33"
6 Lost In Words 6' 6"
7 A Tale Of Love 7' 55"
8 Mysteries Unfold 3' 3"
9 Forever In My Heart 6' 1"
10 Days Of Wonder 6' 54"
11 The Swans 4' 43"
12 Another Mellow Day 5' 29"
13 Dance Of The Elves 3' 21"
I'm still waiting for that romantic evening!!! This is the only CD of Rick's that was ever on sale at the Victoria and Albert Museum in London. Simple genius,the flow of the selections on an individual basis, as well as collectively, just fit together so perfectly. A thing of beauty IS a joy forever. Beauty is what this music is about. Not much rockin' n' rollin here. 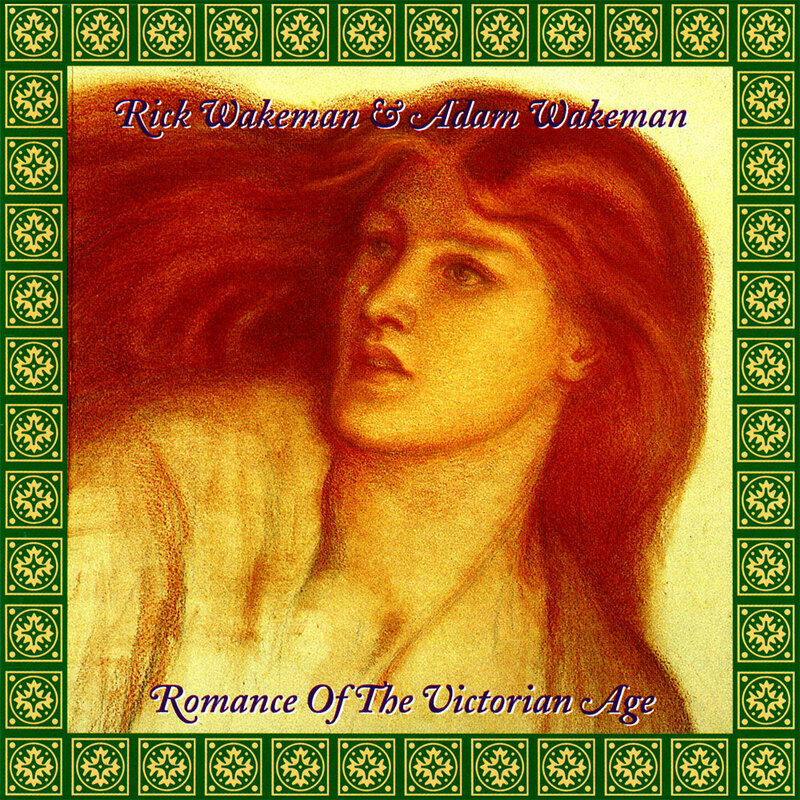 My favourite album from the duo Wakaman & Wakeman. A lot of piano throughout. One of my favourites. Together with Tapestries these two albums form a piece of true piano art! Fast and slow pieces, good for dinner music but also very good for relaxing or intensive listening. Both are "must buy albums" for the piano fans. Thank you Rick and son, Adam, for showing us the degree of emotional beauty and balance you are capable of. A must have. Now where is that piano concerto? nother one of the quiet and gentle instrumental album, containing mostly piano music. Every other track is Adam's, like on the "Tapestries" album - the most obvious album to compare this one to. "Tapestries" is perhaps somewhat better, but not much. If you like "Tapestries" you'll like this one too. Esepcially the opening track is very good. For me, a really super collection of piano tracks. Mix between Rick and Adam compositions, the tracks flows really nicely, with Adam Numbers in a more relaxed way, and with OUTSTANDING melodys in Rick´s tracks. One of me and my family discs, to share while we´re together. This is lovely, really quite a nice one here. Acoustic piano dominates the tracks and the compositions are melodic and memorable. Highly recommended.